Have your granite or other natural stone countertops, vanity tops or table tops lost their shine? Are they stained, scratched, etched or otherwise damaged? Your stone tops may see daily use and abuse, but they don’t have to look that way. 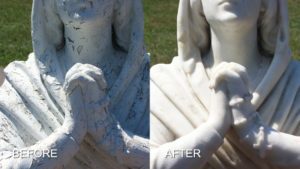 We can repair, clean, polish, and restore granite, marble, limestone, and other natural stone countertops to like new and offer state-of-the-art stain protection treatments. Our technicians can not only resolve virtually any problem with your stone tops, but provide education in the appropriate cleaning products for your specific needs, as well. Some natural stone types are more porous than others, but, generally speaking, all natural stone is susceptible to staining. That’s why it’s important to have your natural stone sealed, particularly countertops or bar tops, which are most likely to get something spilled on them. Whether you’ve had your natural stone tops forever and it’s time they were re-sealed, or the contractors just finished installing them, or somewhere in between, Certified Stone Professionals can professionally clean and seal them, making them resistant to stains and giving you time to clean up. If you find yourself with a stained top, don’t hesitate to contact us. 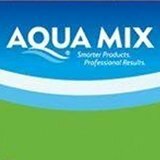 We can resolve many stains in all types of natural stone and get your countertops, bar tops, vanity tops, etc. looking beautiful again. Some people mistake etching for a stain or “water spots.” Many foods and drinks are acidic, and many types of natural stone are acid-sensitive. When acids cause a chemical change in the texture and appearance of stone, the result is etching. Fortunately, our skilled technicians can remove this damage, as well as scratch marks and dullness, and refinish your counters to like-new condition. We will also educate you in ways to prevent this kind of damage, such as always using cutting boards, preferably ones with a groove around the edge to prevent overflow of liquids. Pots and other cooking implements can be heavy and no matter how durable the stone, if you drop something on it at just the right (or the wrong!) angle – bang! Now you’ve got a chip. It’s the sort of thing that can stand out on an otherwise pristine countertops and just drive you nuts! But it doesn’t have to. 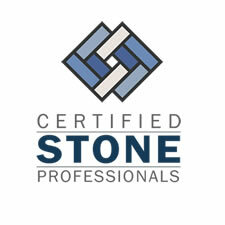 Certified Stone Professionals can repair most chips and cracks in a virtually seamless manner. Can you tell what part of the countertops you work on most because it’s duller than the rest? Our honing and polishing services can restore the evenly polished glory of your tops, change that highly polished finish to a honed (matte or satin) one or vice versa, delivering just the look you want. For a FREE estimate on professional honing, polishing, cleaning, sealing, and other restoration services for natural and engineered stone countertops throughout Western New York, including Rochester and Buffalo, contact us online or call (716) 759-4200 today.